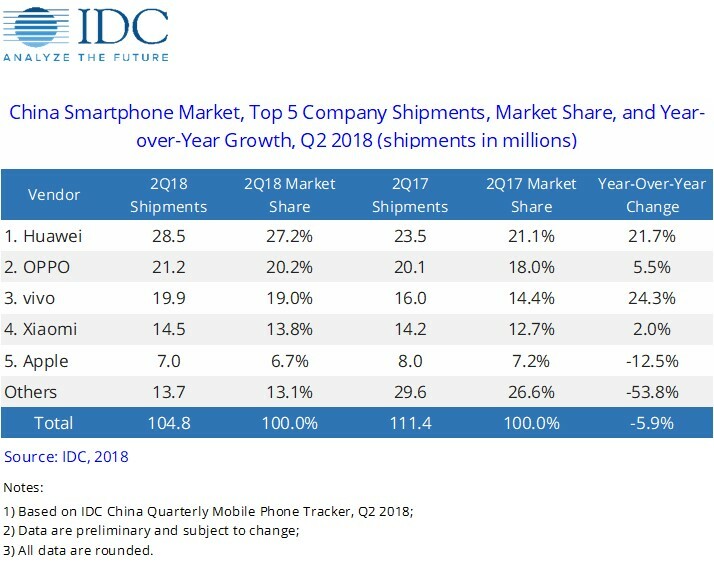 Huawei continued to lead the Chinese smartphone market in the second quarter with a 27.2% market share. Huawei cemented its position in the US$600 to <US$800 price segment with the P20 Pro series, while Apple moved to even higher price bands, helping Huawei build a high profile during the offseason. Moreover, its “GPU Turbo” technology resonated with users, while China's 6.18 online promotions led to strong sales for Honor.